Clothe a child for $125 or send a money donation to Assistance League of Klamath Basin, 1330 E. Main Street, Klamath Falls, Oregon 97601. Shop for quality used furniture or home décor items at Findables (1330 E. Main St. Klamath Falls) Tuesday-Saturday 11-3 p.m. Donate your quality used furniture, collectibles and household items to Findables. Call Findables at (541) 883-1721 and leave a message. 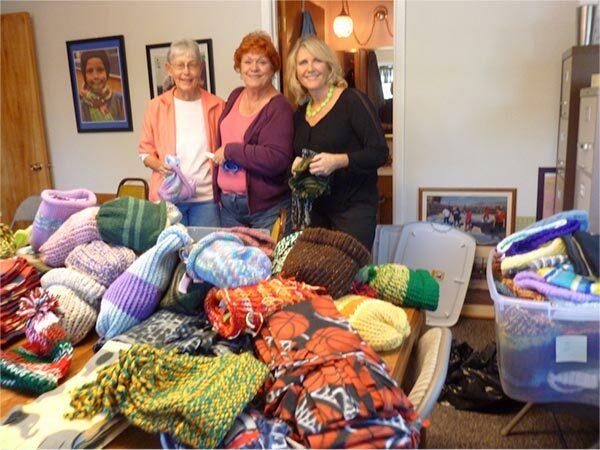 Members knit hats, make scarves, gather gloves and put together hygiene kits all year round in preparation for Operation School Bell®. Here members are busy packing and sorting for Operation School Bell in-store shopping nights and filling hygiene kits for all.